When MAC announced that they would launch a line of 20 matte lipsticks, called The Matte Lip, I was literally over the moon. With The Matte Lip, MAC decided to put shades from previous, temporary collections into the permanent collection and also created new shades, both Matte and Retro Matte. And other shades were already part of the permanent collection before The Matte Lip was launched. I saw them online, but hesitated to order them, because I wanted the chance to swatch them and all. I usually only order limited editions through the web. So I went on the hunt for The Matte Lip in stores, without any success. If I had the luck to find them, most shades were already sold out. I had given up on them for a while, but then I finally found them at a MAC counter during my recent citytrip to Zaragoza, Spain. And most shades were still available! Three of them came home with me and I decided to review them for you. 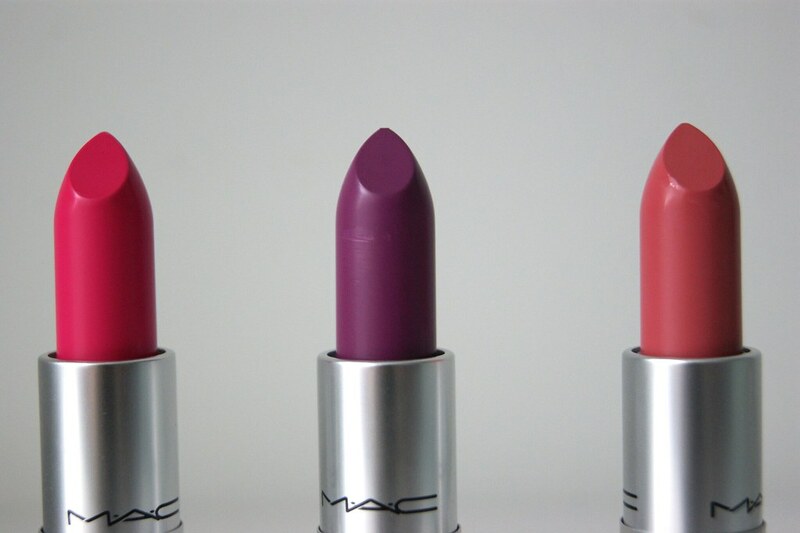 All three colors are Matte. Pink Pigeon is being described as a "bright, cleanest pink", which is absolutely true. It's a popping Barbie kind of pink, which reminds me of Candy Yum Yum in a way. This shade applies and covers perfectly. 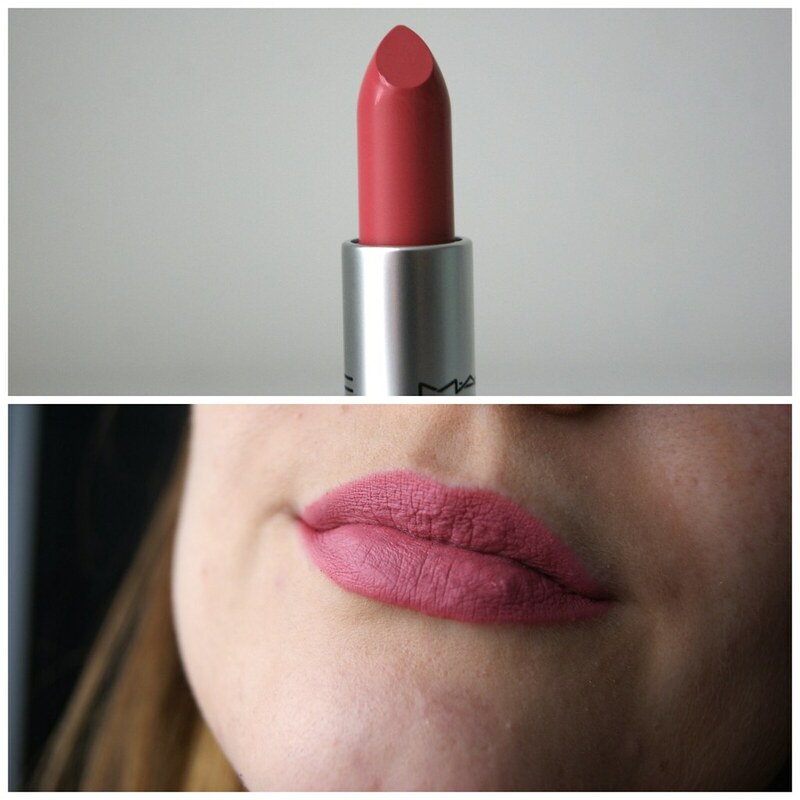 It's the perfect shade for a night out or to wear during spring and summer. 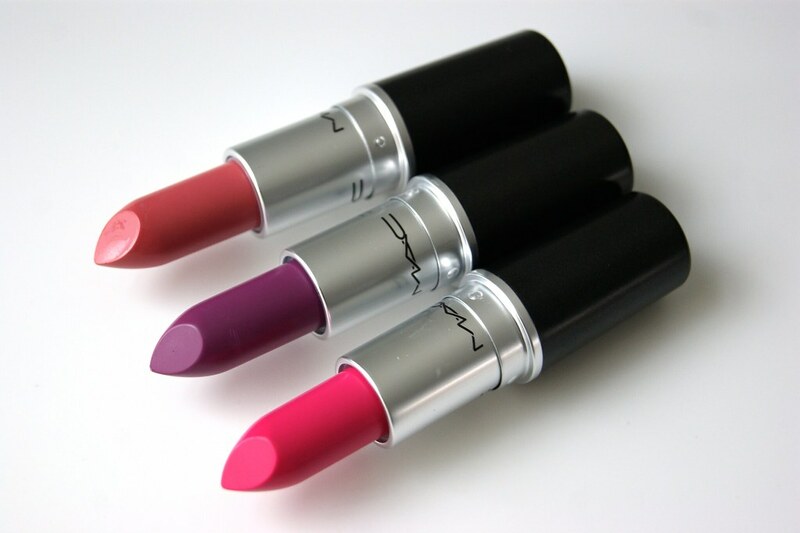 MAC describes Men Love Mystery as a "lavender violet". 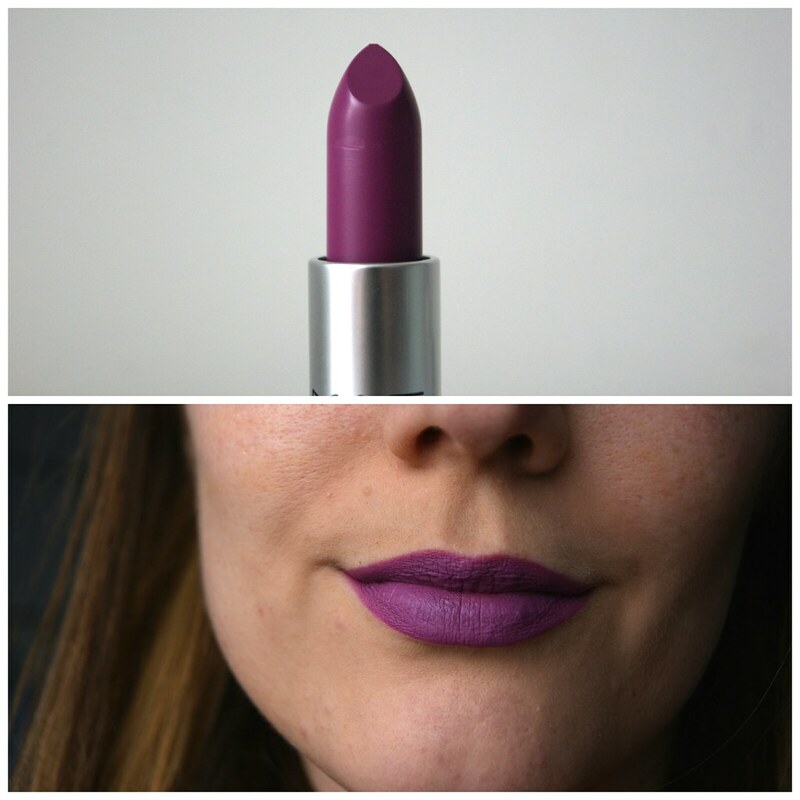 Even though this shade looks very similar to Heroine at first sight, you definitely can see a difference. Men Love Mystery has a more pink / lilac tone and is perfect for women who don't like to go all 'goth' right away. This color is my favorite out of the three in this blogpost. 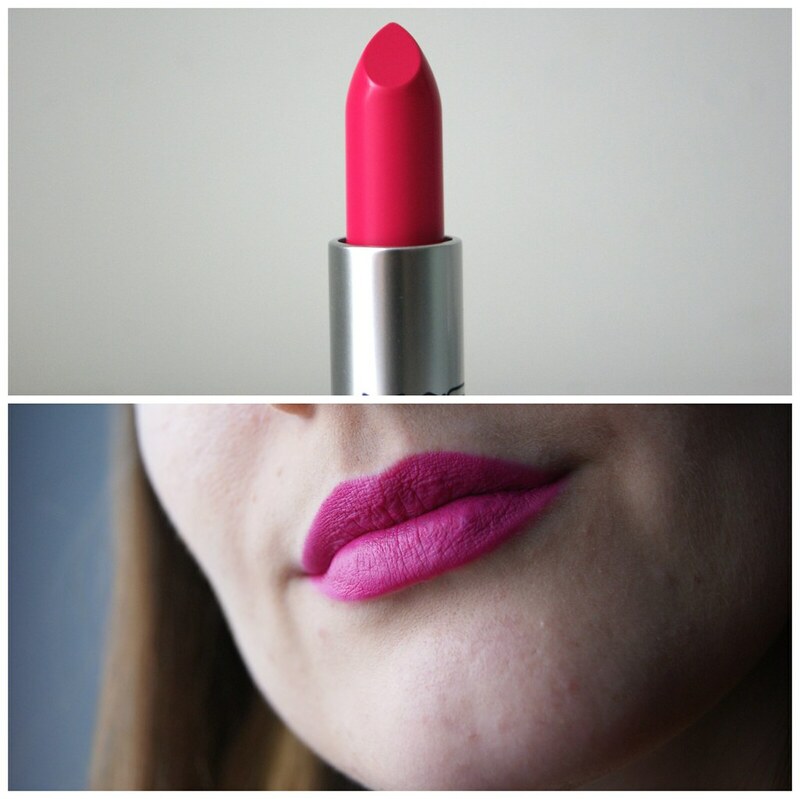 Please Me, also described as a "muted-rosy-tinted pink", is the trickiest one to apply. It also doesn't cover as much as I'd like to. I combined this lipstick with MAC's lip pencil Rosy Rim for optimal coverage, which is almost exactly the same shade. This shade is perfect for everyday use and for women who don't like bold shades. Men love mystery is zoooo mooi! Ik wil matte royal wel hebben ook! The colors are amazing! Especially love the last one, perfect on daily bases! Men Love Mystery is zeker en vast mijn favoriet! Een unieke kleur en ziet niet vaak dat lila/paarsachtige lippenstiften een goede pigmentatie hebben maar deze lippenstift van Mac heeft dat zeker. Inderdaad, deze dekt héél erg goed. 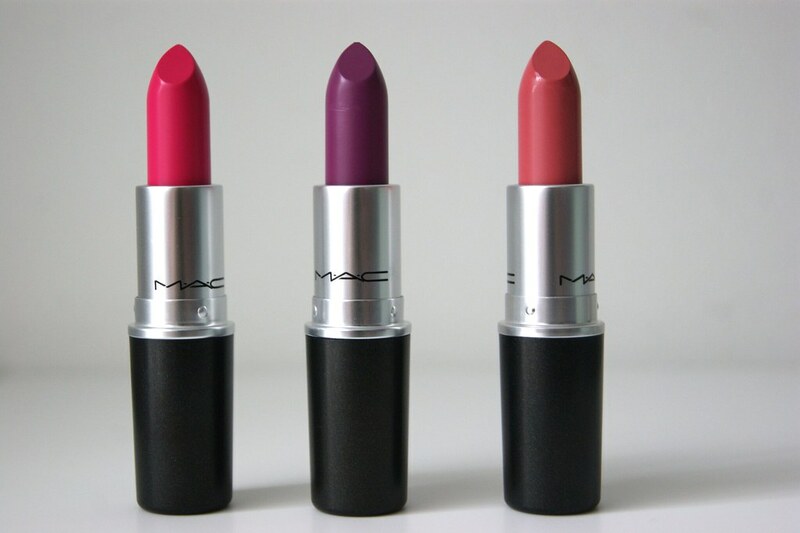 I should start saving up for these lipsticks! such a beautiful shade of purple - this happens to be my favourite colour - and these ones are really matte. The last one seems a bit "dull", if you ask me, not the most exciting colour. Matte still has a creamier texture and has a little bit of sheen to it. Retro Matte is really dry, super matte and has a more rigid feel while applying it! Ruby Woo is the perfect example for this one. Mooi!! En die zijn ook helemaal jouw ding! I love matte lipsticks as they look so much more natural - the last colour is definitely calling out to me!